When celebrities bring out perfume and make up lines I tend to steer clear, thinking that they'll be a bit naff and cheap. Of course not everyone feels this way and there is money to be made in the beauty industry market, so why not? But when someone like Joan Collins begins out make up and skincare you tend to sit back and think.. This is the women who is world known for her beauty and her ageless persona and oozes glitz and glamour wherever she goes. If its good enough for Joan Collins its more than good enough for me! Her make up line contains everything you need to create a ultra glamorous look, and products range from Lipsticks to Lash Growth treatments. Each piece is elegantly packaged and no expense had been spared in the design. It has a very 50's vibe to it and reminds me of my child hood when I would raid my nan's make up and perfume collection, the chic gold packaging with art deco designs screams elegance and sophistication, and to be honest would we really expect anything else from such an icon? The Meticulous Pressed Powder is velvety smooth and appears almost invisible, but still casting a soft air brushed veil across the skin. With the help of Hyaluronic acid it hydrates and fills in fine lines and pores without caking, setting makeup perfectly and controlling oil. The unique powder isn't shimmery or overly matte but sits somewhere neatly in between, and creates the perfect canvas for applying the Contour Velvet Blush. The shade I have is 'Dusky Pink', and is just that. 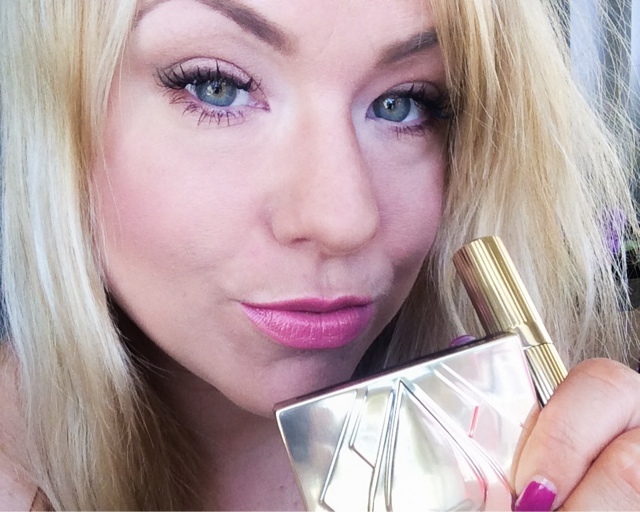 A gorgeous mauve pink with tiny flecks of gold shimmer that add a subtle sheen to the skin. This would be the perfect shade for fair skinned girls to add a wash of colour to the cheeks. 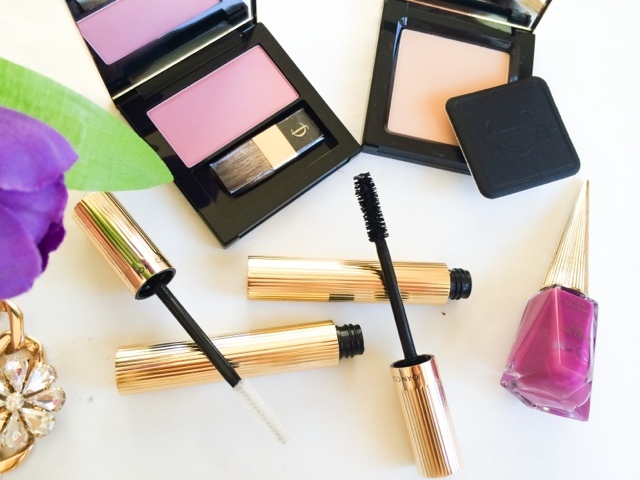 If you're a full lash kinda girl you might want to check out the Class Act Growth Boosting Thickening Mascara. The wand is thick and bushy and even though I do wear eyelash extensions on my top lashes, this made light work of adding volume and extra thickness to them and my bottom set. If you're not one for false eyelashes, the Class Act Lash Treatment Gel might be just what you need... The treatment claims to make lashes 169% longer and 13% thicker in just 30 days! I don't know about you but I'm very interested to see if this works! I've been coating my bottom lashes with this and have even tried it on my eyebrows to see if it makes a difference there, so if you see me with daisy the cow lashes and Cara Delevingne brows you know that its worked! ( I'll keep you posted). 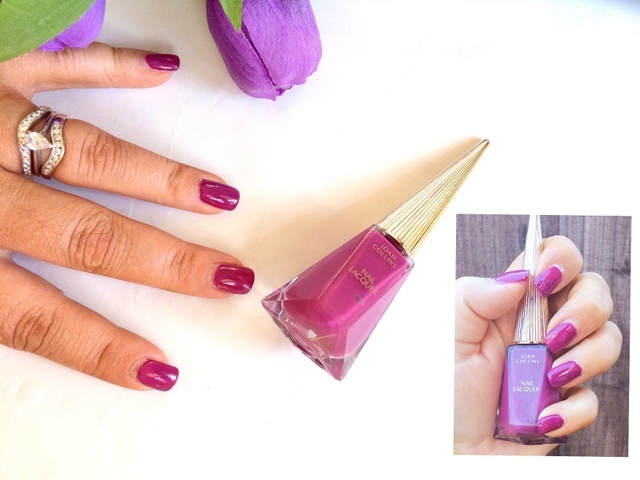 Last but at no means least is the Nail Lacquer in 'Melanie', a beautiful violet shade which is also housed in the vintage style bottle. The polish is lovely to apply, self levelling and opaque in just one coat (the photos above are with just one coat), which I think is amazing, and ideal for someone like me that hasn't the patients to apply multiple coats of polish and finds nail painting a chore! From a price point of view these are by no means a budget buy, the elegant packaging and quality of the products are reflected in the price and makes these more a high end make up line, but what else would we expect from Joan Collins? If you want to add a bit of luxury to your make up collection I can definitely recommend trying these out, the products perform beautifully and my personal favourites are Meticulous Pressed Powder and the Nail Lacquer. All products are available online and on QVC. 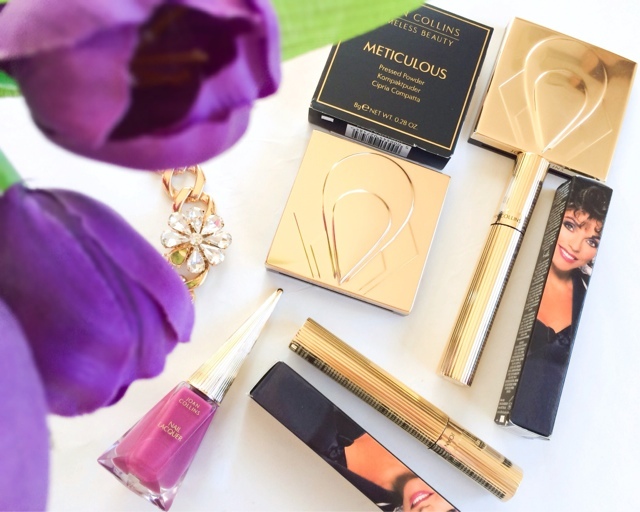 What do you think to the Joan Collins Timeless Beauty Collection? Will you be purchasing something from the line?